So, heute wagt sich Rock The Cam an neue Musik heran. Ein Berlinbesuch brachte mir ein paar neue Schallplatten ein. Alle vom Berliner Label Haute Areal und los geht mit Mary Ocher und ihrer LP namens eden. Coole Musik, noisy, schräg und dreckig. Sie Stimme von Marys Ocher ist für mich aber schon sehr gewöhnungsbedürftig, wenn tief dann gut, wenn es hoher Gesang ist, dann nix für meine Ohren. Die ganze eden Platten am Stück ist dann schon anstrengend und deshalb kommt hier mein Vorschlag für das Mixtape: (as free as) the great outdoors. Hat eine tolle bedrückende Atmosphäre und klingt echt gut (bei tiefer Stimme). Today Rock The Cam gets in touch with new music. A trip to Berlin brought me some new records and all of these nice vinyl platters are on the Berlin based Label Haute Areal. 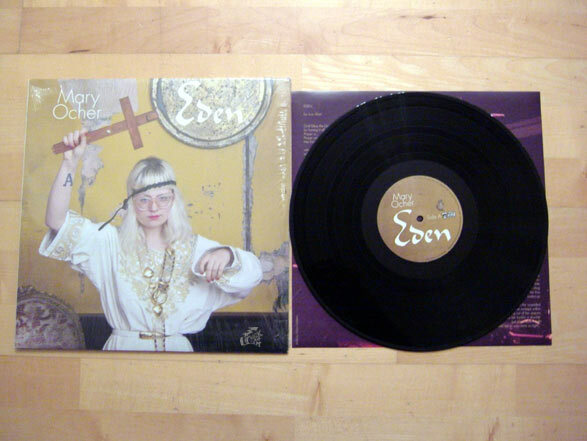 Let’s start with Mary Ocher and her LP called eden. Cool music, sound is a bit dirty, edgy and noisy. Which leads me to the voice, to which I really need to get accustomed to. When she sings low, I really like it, when Mary starts singing in high tunes; it’s no good for my ears. Produced by King Khan. My tip for you and your next mixtape is the song named: (As free as) the great outdoors.